The Blackened Mina Gorget makes a good option for warrior princesses, shieldmaidens, and lady knights heading to battle. The steel gorget displays a dark metal finish that looks great with the decorative rivets that frame the piece. 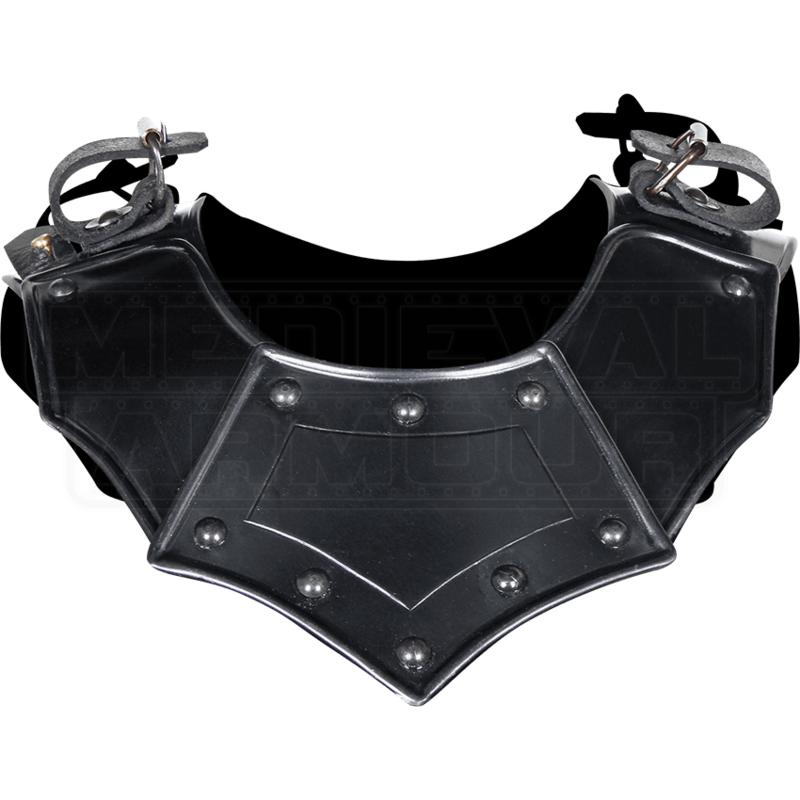 Buckled straps on the sides of the womens gorget can be used to attach spaulders, such as the matching Blackened Mina Spaulders (MY100066) or other shoulder armour of your choice. We recommend wearing padded arming wear beneath this plate armour for increased comfort. Be sure to check out all of our other Mina-style armour when creating your complete warrior outfit for LARPing, re-enactments, or the Renaissance fair! Fit well and his well with other blackened steel pieces.